As a lot of you know who have kids, it's hard to find time to have a date night without them. Yes, you can get a baby sitter, but they can be expensive and hard to find. 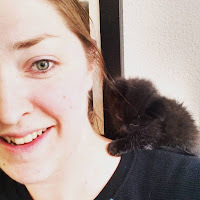 I've been looking all over the internet for things my husband and I could do together that were cheap and easy, all while juggling the kids and their bed times. What I found was a list of dates that we could do at home after we put the kids to sleep ( I will add the link at the end.) Last night was our first at home date night, our first date period, in a while. 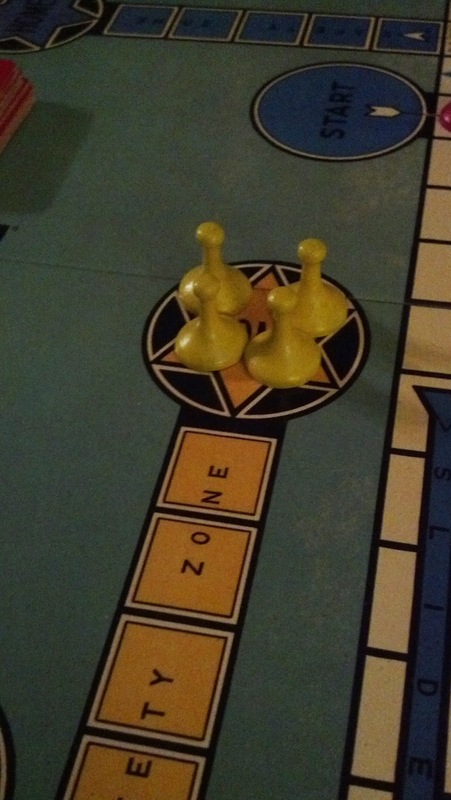 We got into our Pj's, pulled the board games off the shelf and got cozy at the coffee table. 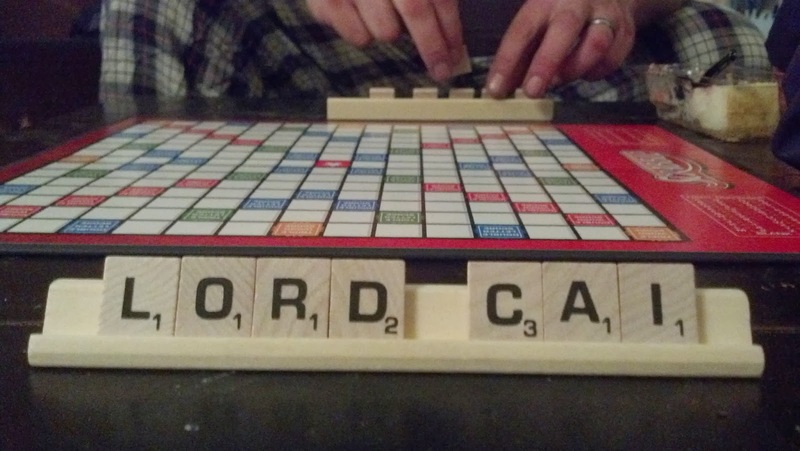 As you can see, we started off with scrable, but neither of us are much for spelling. Go figure. 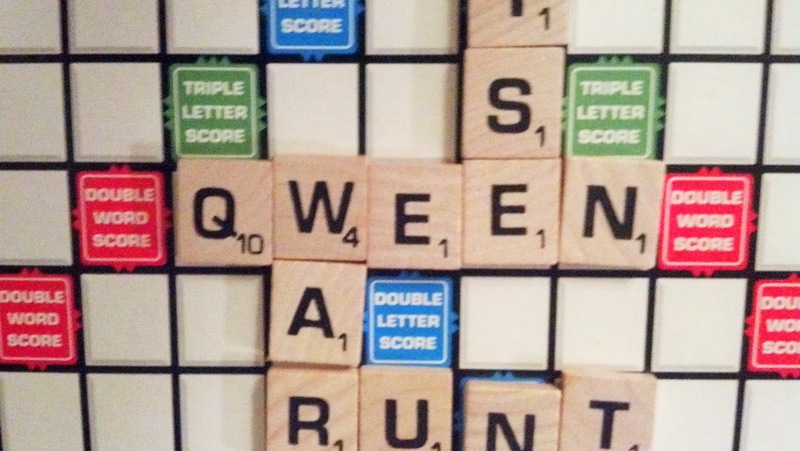 Especially when my husband tried to spell "queen" in his own way. 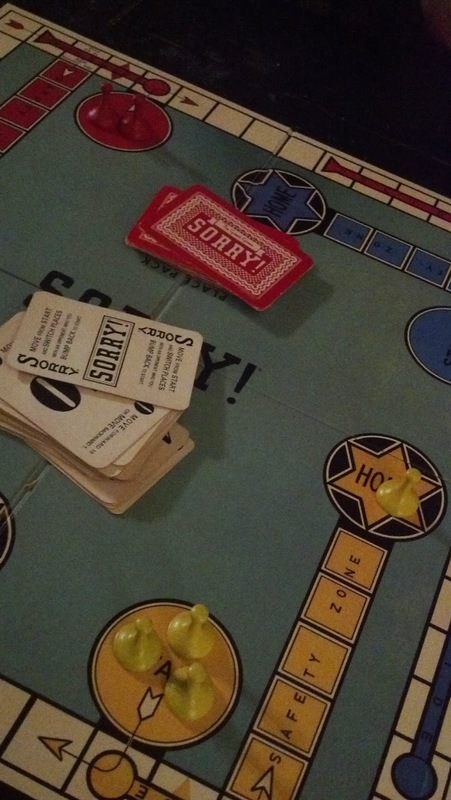 We quickly switched over to "Sorry" and had a blast. Of course there was alcohol and a desert involved. Angry orchard, my favorite gluten free beverage and thanks to Carl's Jr. we had cheese cake. I encourage all of you to have a date night at least once a week. It will be good for you to relax, and you don't have to go out to do it. 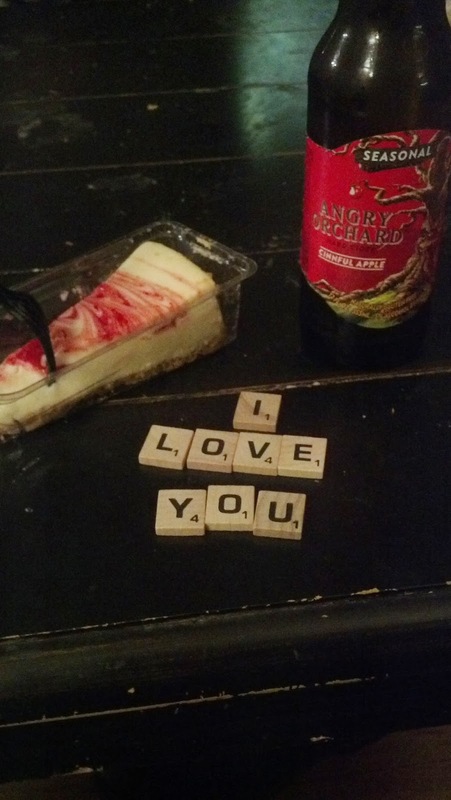 To check out the list I found with more fun date night ideas, go here.